Sin Por Por is an elderly lady living alone in a public housing estate. We have visited her on a monthly basis for the past four and a half years. Last year, she began complaining of progressive blurred vision. Since the public hospitals have a long waiting list even for an eye examination, we managed to set up an appointment with a Christian ophthalmologist for her. She was diagnosed with macular degeneration and cataracts in both eyes. According the doctor's assessment, cataract surgery on her left eye was required to improve her eyesight. Sin Por POr consented to the operation, and it was performed on July 18. It proved to be successful and her vision has since improved. I have indeed seen the love and grace of God showered upon Sin Por Por. I am especially grateful for all the people who have contributed to helping her: her neighbor Mrs. Leung and the brothers and sisteres from Island ECC for their continuous care for Sin Por Por, the ophthalmologist for giving her a generous discount on the surgery; and Hope of the City for providing the financial assistance. It has been an honor to partner with these others and to be an instrument of God's grace. Most importantly, Sin Por Por is now ope to the gospel and willing to participate in church activities. Praise the Lord! Posted on October 6, 2016 by Hope of the City. 'I am Franselaine Maghinang and I volunteer as an English tutor for Hope of the City. Since April this year, I have been tutoring two secondary school students at Yan Kei Church in Lai Chi Kok. Every Saturday after work, I rush to Lai Chi Kok just to be on time for the class, which runs from 1:30pm to 3pm. 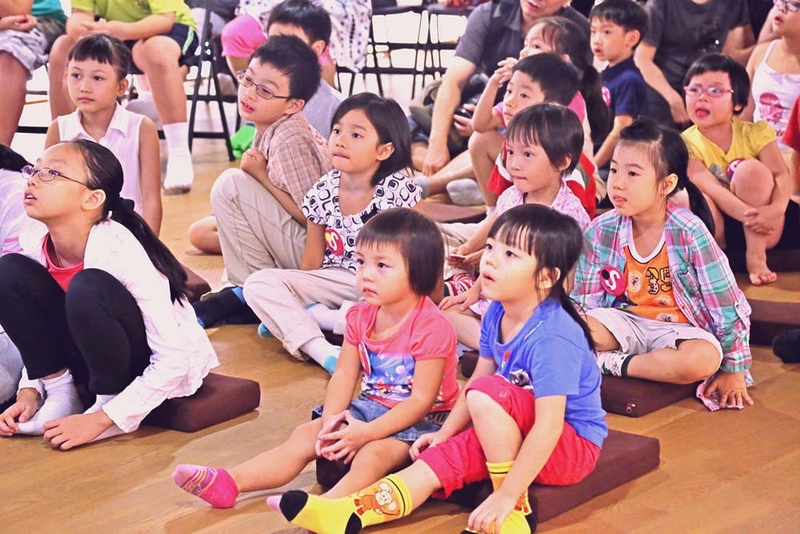 'At first, the kids were reluctant to speak up because I can’t speak Cantonese and so English is the only way for us to communicate with each other. Yet, after we got to know each other better, they were eager to talk to me about what happens at school, their personal lives and even share some jokes. 'God has given each and every one of us gifts from His variety of spiritual gifts and we are to use these gifts or talents well to serve others. Posted on August 15, 2016 by Hope of the City. When Hope of the City hosted our first SSP Xperience in February, 2015, our goal was to raise awareness of the many needs of people living in poverty in Sham Shui Po. We hoped to inspire others to join us in using their time and talents to make a difference in the lives of those on the margins of society. That very night, David Ho asked me to direct him to the J-Life community centre, where he became one of Hope of the City’s volunteer tutors the very next week. And he’s been going strong ever since. David has been tutoring primary students at J-Life for more than a year now, faithfully offering his time twice a week from 3.30pm - 6.30pm to help the children with English and Math. Even though this Taiwan native doesn’t speak Cantonese, he hasn’t let that stop him from developing a strong bond with the regular bunch of kids he works with. “I’m very happy tutoring the kids,” he says. It’s obvious that they are equally happy to have his help, as they eagerly look forward to seeing him on tutoring days. David recalls how he would find his eyes tearing up in the beginning when one young boy he was tutoring would pack up his school books at 6pm sharp each day and go to sit by the door, where he’d stare out anxiously as he waited for his mother to pick him up. David had learnt that the boy’s mother (a single parent) suffered from depression and had once told her son that one day she wouldn’t be around to care for him anymore. So every day, the boy worried that this might be the day she didn’t show up to collect him. Tutoring kids has been rewarding for David, and also a learning experience. He told me that spending time with the children has taught him to be humble and patient. He’s also learnt that what’s most important is to let them know that God loves them and that someone cares about them. Even though David has taken up some professional work again, he continues to devote his time each week to the kids, going so far as to tell his clients that he’s not available on Wednesday and Thursday afternoons, because those are his tutoring days. He also actively encourages his friends to join him in tutoring the children, and several of them have already become involved as well. We are truly grateful for faithful volunteers like David, who have stepped up and committed themselves to helping us fulfill our vision of transforming our city, one life at a time. Posted on April 29, 2016 by Hope of the City. 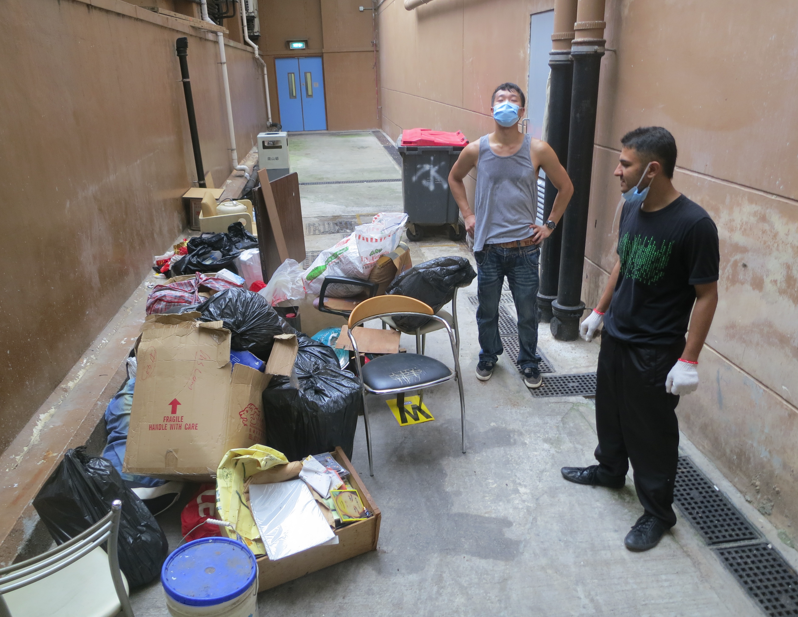 From 29-30 January, Hope of the City ran our second SSP Xperience in Sham Shui Po. Last year’s event was an evening encounter with real life in Sham Shui Po, but this time we expanded the experience to include an overnight stay at Mei Ho House youth hostel. We were thrilled to have 30 people sign up to join us for a guided ‘service tour’ of the district which is the focus of Hope’s work. Things got underway at 7pm on Friday with a short briefing and a quick bite of local cuisine – Cha Sui and 'bak tong go'. Then everyone headed out in groups of 2-3 to visit low-income families living in sub-divided homes and bring them some Chinese New Year snacks. The next stop was the J-Life Community Center, where we met up with Chau Gor, who has been serving the homeless for many years. He introduced the next part of the SSP experience, dropping in on the many street sleepers living under a nearby flyover. We prepared some hot ginger tea and warm clothing to take with us, and spent some time distributing these among the street sleepers, engaging with those who were up for some conversation. It was well after 10:30pm before we circled back through the darkened streets of SSP, passing the many impromptu flea market vendors and scores of electronics recyclers on our way to the Shek Kip Mei Estate dai pai dong for a late meal of steamed egg, clay pot veg and other SSP specialties. The meal provided the opportunity for everyone to share their impressions and hear more from two of our faithful local partners, Chau Gor, from Christian Concern for the Homeless, and Elli, from J-Life. The night ended (for those who still had the energy) with a hike up the hill behind Mei Ho House for prayer on the mount after midnight. The next day began with interviews and a Q&A session with three special guests: Elli shared her personal story, followed by testimonies from a mother of three and a young former triad member, both of whom saw their lives changed after receiving help from a Hope-funded community center. To give our participants a glimpse of what life is like for those with very little money, we decided to host an Amazing Race-type of shopping assignment. Teams of 2-3 people each received HK$50 with which they had to purchase the ingredients to make two nutritious meals for a family of four (this sort of budget is a daily reality for many low-income families in SSP). The winning team received a Feeding Hong Kong cookbook of low budget meals. The final event of the SSP Xperience was a stop at a soup kitchen run by Christian Concern for the Homeless. There, we had the chance to meet the ‘Buddies’ who regularly turn to the soup kitchen for a hot meal. We played a stimulating game together, and then helped to serve lunch, interacting with the Buddies as we enjoyed the nutritious food. 'Amazingly, it was a much more powerful experience than I imagined.' - William C.
'Talking to Elli and joining the home visit were definitely among the most important lessons I’ve had in life.' 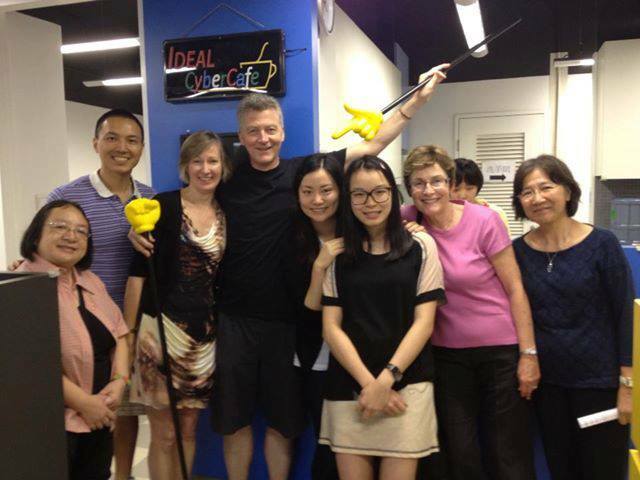 - Tracy L.
'I think the entire event was very well organized, and we especially enjoyed the testimonials and the stay at Mei Ho House.' - Candace W.
Posted on February 2, 2016 by Hope of the City. 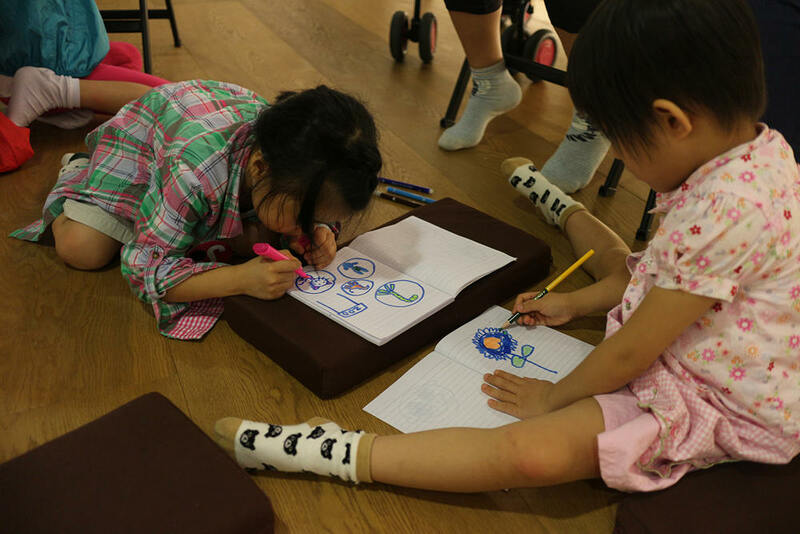 On September 6, under a brilliant full moon, 24 children and their parents from the J-Life community centre in Sham Shui Po gathered for a special family outing to celebrate the Mid-Autumn Festival. The fun began with afternoon tea at Dragon Centre before everyone climbed onto a coach for the short ride to the Jao Tsung-i Academy near Mei Foo. This lovely historical complex on a hillside was the perfect location for some serious moon-gazing, but first there was much more fun to be had. Inside, a wide range of intriguing activities, all focused on the moon, had been prepared. There were songs in several languages, with hand instruments for the kids to play, and cartoon videos from different cultures. 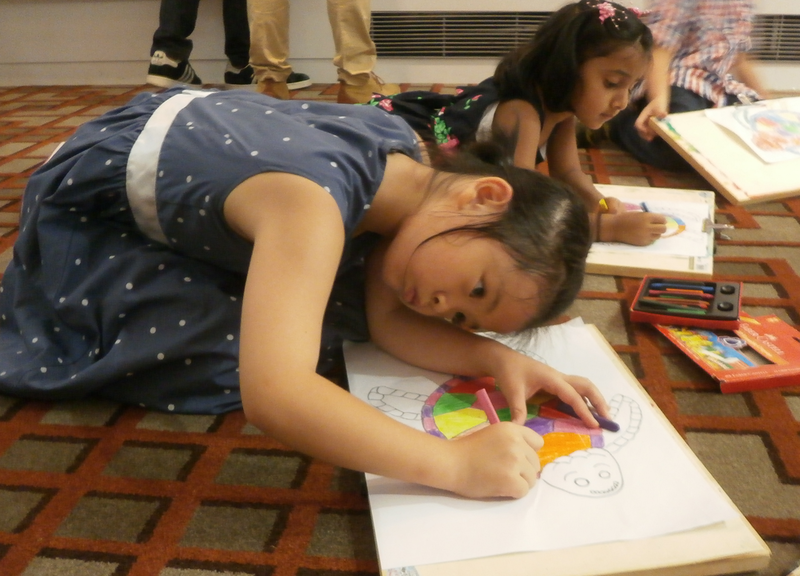 Moms and kids drew faces on paper moons, recited a famous Chinese moon poem together, listened to moon-themed stories and then made crafts based on the stories. They even learned how to make lanterns out of pomelo skins. Then out came an abundance of traditional festival snacks, including peanuts, star fruit, round pears, round cookies and, of course, mooncakes. At last it was time to head out into the gardens to view the moon. By 9.30pm, arms filled with pomelos and buns and paper lanterns, everyone clambered back onto the bus for home, worn out and sleepy but filled with visions of happy moons dancing through their imaginations. Our heart-felt thanks go out to the organizer, Reading in Growing, and the wonderful people at the Jao Tsung-i Academy for all their hard work and patience in making this an unforgettable festival celebration for these families. Thank you!! Posted on September 23, 2014 by Hope of the City. 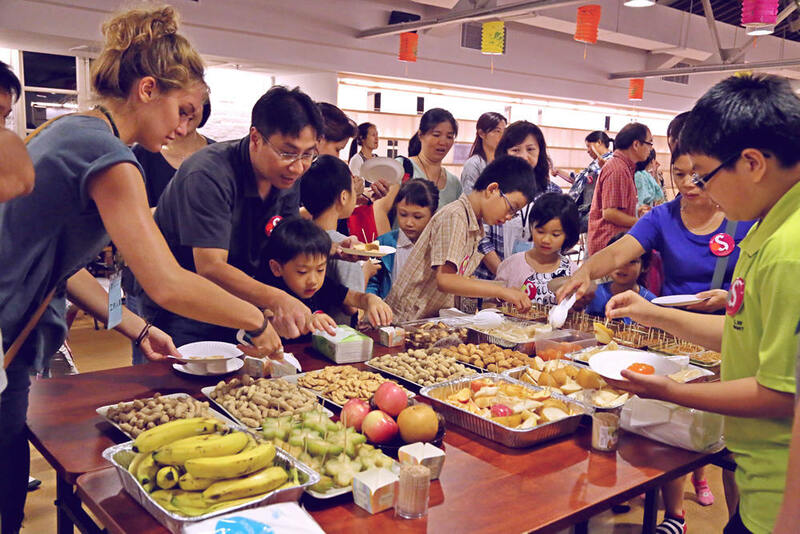 Family outings may not seem like anything extraordinary to many people in Hong Kong, but for low-income families, they are a rare treat – the costs of transport and eating out can easily exceed their weekly food budget! That’s why it was such a delight for a group of families from North Point to be invited to join the Family Environmental Day, sponsored by Bank of America Merrill Lynch (BofAML) and the Asia Society. Parents and kids alike were all smiles as they learned to make recycled paper, decorated bookmarks with dried flowers and joined creative forces to design ‘Home Green Home’ posters. Other highlights of the day included starting a take-home herb garden in converted water bottles and racing through a maze built from a variety of recycled materials. Each family that participated was paired with a BofAML volunteer to guide them through the activities and make sure maximum fun was had by all as they learned about caring for the environment. By lunch time, everyone had worked up an appetite and eagerly tucked in to the yummy hot dogs, fish balls, pizza, ice cream and much more. Hope of the City is grateful for BofAML's generosity, not only for planning this joyful family event but also for covering all the costs for the families. Posted on June 10, 2014 by Hope of the City. Volunteering to support English tutoring sessions – mutually joyous occasions! We first met the IDEAL family when we volunteered with others from Hope of the City for their Annual Walkathon at the Peak. We found them to be a delightful group and we were keen to offer our time to support them. A regular feature of IDEAL’s weekend programme is English Tutoring. The sessions typically take place on Saturday afternoons with the support of volunteers. And then – a popular choice – well-known English songs that everyone seemed to know. We left it to the members to decide on the animals on Old Macdonald’s Farm: he had a pig, a dog, a rabbit, a mouse and a tiger - some imagination huh? And of course we provided the necessary accompanying animations and noises! For the second visit we joined Fido from Executive Communications, who is a teacher and he gave some well-needed structure to the session. All in all, every contact with IDEAL is a fun and joyous occasion where we all come away having learned and shared something special. If you are interested in volunteering for a future session, contact volunteer@hopeofthecity.com. Posted on August 21, 2013 by Hope of the City. 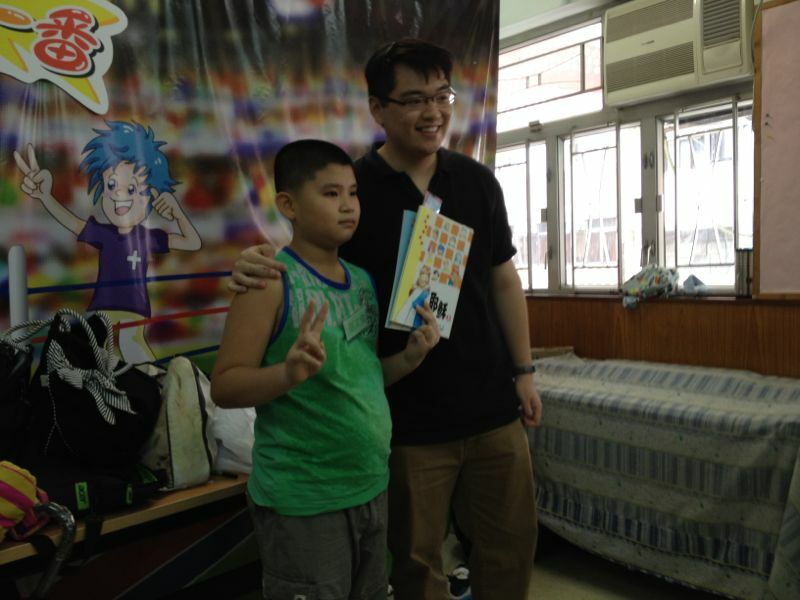 I [Ben Cheng] visited Ms. Lai for the first time on 9th December 2012. Prior to the visit, I had spoken to her over the phone and our conversation convinced me that it would be a pleasant home visit. 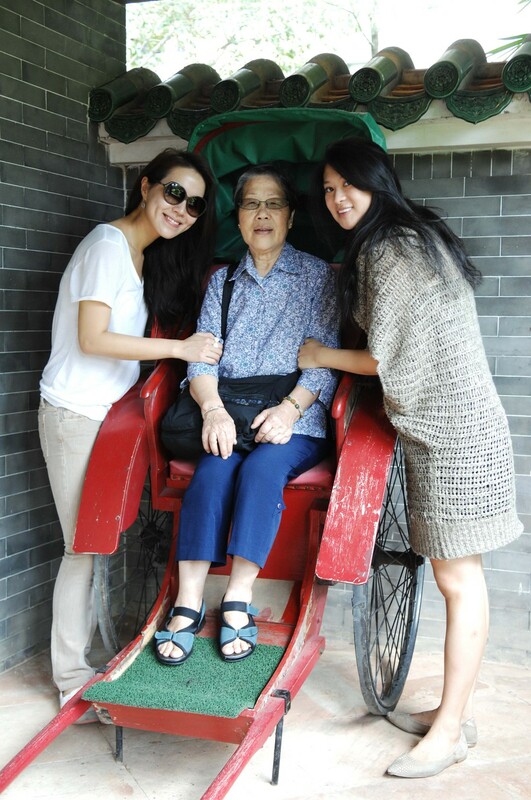 It was my first time visiting a partitioned home and I was shocked by Ms. Lai’s living condition. The partitioned home was so small that it could only fit one bed, which had to be next a tiny bathroom. Ms. Lai told me that rent has always been her major struggle. It has been so expensive that she has a very tight budget for food and other basic needs. 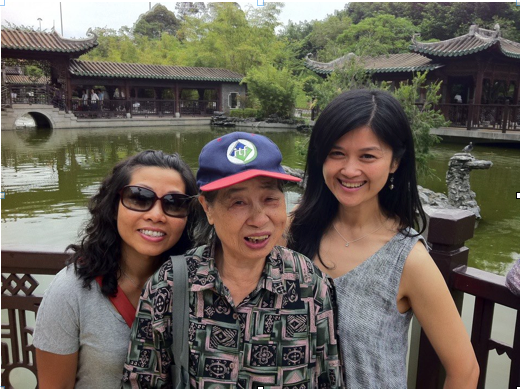 Fortunately, with the help of a social worker, Ms. Lai was granted a flat in the government housing with rent of only 1/3 of what she had been paying for the partitioned home. However, she is almost 80 years old and she needed people to help her move, so I asked her to contact the social worker to arrange the necessary help. After 1 month, I visited Ms. Lai again. She looked much happier, because she got the key for her new place. She wanted to move in as soon as possible, in order to save some money on rent at the partitioned home. Yet, there was no news from the social worker. At this very moment, I felt God’s calling to help Ms. Lai with her move. There must be a specific reason why God arranged me to visit this household. I was thinking, “what would Jesus do if he encountered the same situation?” Hence, I reached out to some brothers at my care group and with 5 of us (1 brother sponsored the moving cost), we successfully helped Ms. Lai relocate to her new place within the same week! Praise God, He again listened to our prayers. The process went really smoothly and I felt that God had been guiding us and protecting us as always. Praise God for giving this experience to Ms. Lai, my brothers in Christ and me. The improvement in Ms. Lai's situation was a great blessing, which also gave an overflowing joy in our hearts! Through this experience, we believe that more people would have their prayers answered and more brothers and sisters would have the courage to answer God's call! Can you hear God calling YOU? Act NOW! Posted on March 28, 2013 by Hope of the City.